Product #977 | SKU Z-MMA | 0.0 (no ratings yet) Thanks for your rating! The 15mm Studio MiniMount is a universal mount that slides onto 15mm Studio (offset) rods. 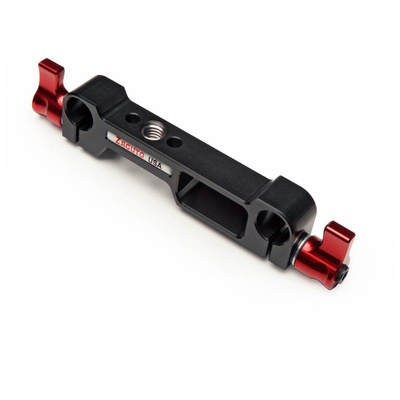 This Zacuto MiniMount can hold an articulating arm, or any device with a 3/8 16" screw. It can also be retrofitted to be a z-release mount by adding a Zround Mount. A minimount is also available in 15mm Lightweight and Studio 19mm.